Mount your coil the right way. 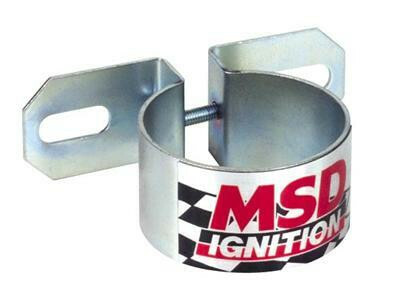 The chrome plated MSD Coil Brackets offer easy, universal mounting for standard size ignition coils up to 2 1/4 in. diameter, including all MSD Blaster Coils. A special tab is provided for external condenser mounting, if required. For secure tightening, the brackets use a bolt and nuts instead of screws.